First to preface, I am NOT very knowledgeable on the concept of electrical stuff, wiring, power etc. I am however trying to power my 9U eurorack case to play outside. Of course as soon as I plugged my case into the AC jack of the above device, my case turned on and all my modules started flickering and in panic i shut it off. I tried it again just in case and of course it doesn't work.. Does anybody have the patience to let me know what I'm missing? My primitive brain thought that this would be enough to power my case..
Eurorack modules like good clean power. Digital based modules act particularly funky when you give them less than optimal power. Optimal power not only means the right voltage, but also enough amps and not a bunch of noise and spikes. I'm not an expert, but I know there are different electronic ways of converting power and some are not suitable for modular gear due to the method of conversion they use. I suspect the device you have is using a less than optimal and usually "cheapest way" to convert the power and the results are what you witnessed. In the reviews for this item there are people saying that it does not run induction motors or led lights very well also. 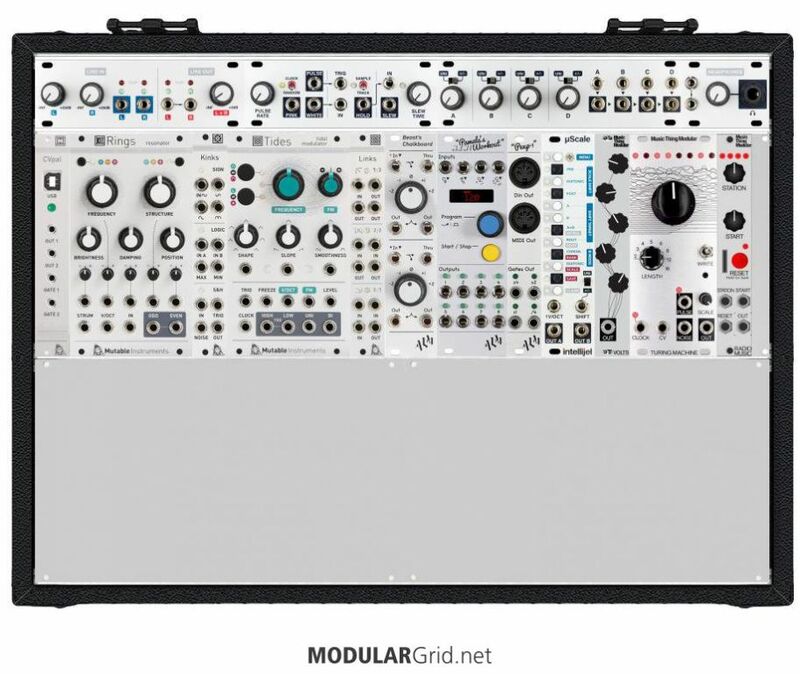 I don't have a specific recommendation, I haven't done portable modular stuff yet. Have a look at Goal Zero. The Yeti 400 should have enough to power your rig. Warning, they are not cheap and not light. That does look good! but like you said, big. I guess it's a pipe dream to power eurorack systems with small portable sources. Thanks all. Maybe think about a smaller case for playing outside.